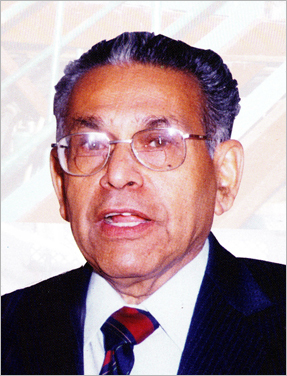 Late Dr. Vasant Palkar established Nivedita Chemicals. The company owns its existence as a result of his brilliant ideas and endeavors. Armed with a Ph.D in Organic Chemistry from the University Department of Chemical Technology, (formerly UDCT) Mumbai and presently named ICT (Institute of Chemical Technology) and American Government Fellowships, Dr. Vasant Palkar worked for three and half years in three different U.S. universities (Rhode Island - Kingston, St. Paul - Minnesota, St. Louis - Missouri) as a Post-Doctoral Research Associate. Dr. Vasant Palkar's dream was to start his own manufacturing company where he could produce Active Pharmaceutical Ingredients (API's). In 1972, he developed his first API - Vitamin B2, 5 Phosphate Sodium, which was originally imported by the Indian government from developed country like Switzerland. This feat earned Dr. Vasant Palkar the prestigious Republic Day National Award for Import Substitution, from the hands of the President of India. Dr. Vasant Palkar is no more with us today. However, he has left behind a rich legacy of his vision and desire to make a difference to the society. 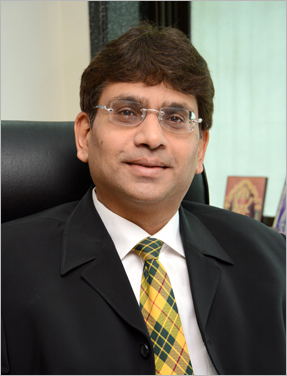 Dr. Vivekanand Palkar, son of Dr. Vasant Palkar is also a Ph.D. holder in Pharmaceutical Chemistry from UDCT, now Institute of Chemical Technology, has taken over the reins as the Chairman and Managing Director of Nivedita Chemicals. His 24 years of experience in the industry has been instrumental in guiding the company onto a path of remarkable success. He is a true visionary and has introduced innovative technologies in manufacturing processes, to make Nivedita Chemicals a global company.